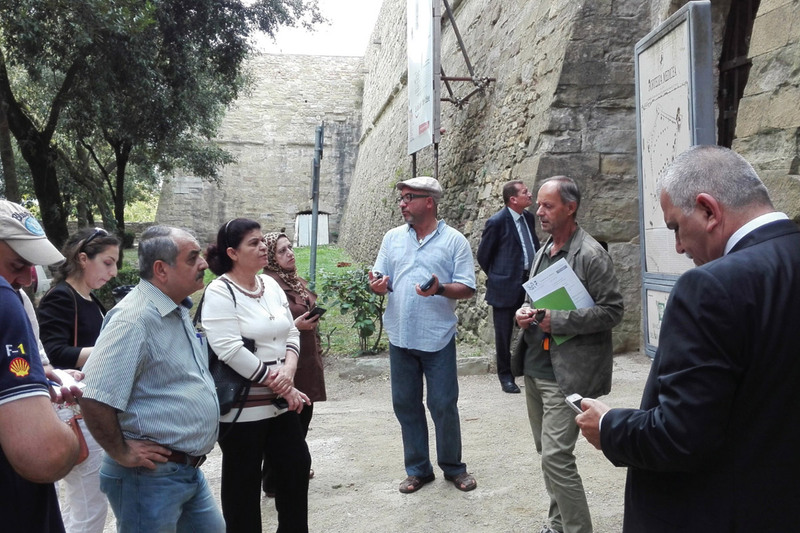 The opportunity to collaborate with UNESCO represents an acknowledgment of SEUM’s potentials, the high quality of its proposals, its organizational capacity and involvement of local authorities and professionals. 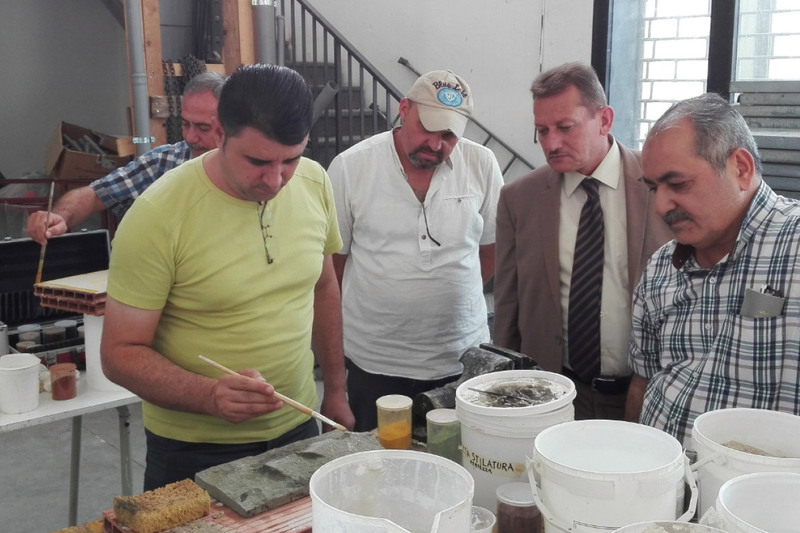 UNESCO’s office for Iraq has asked SEUM to organize training sessions for technicians coming from various parts of the country. 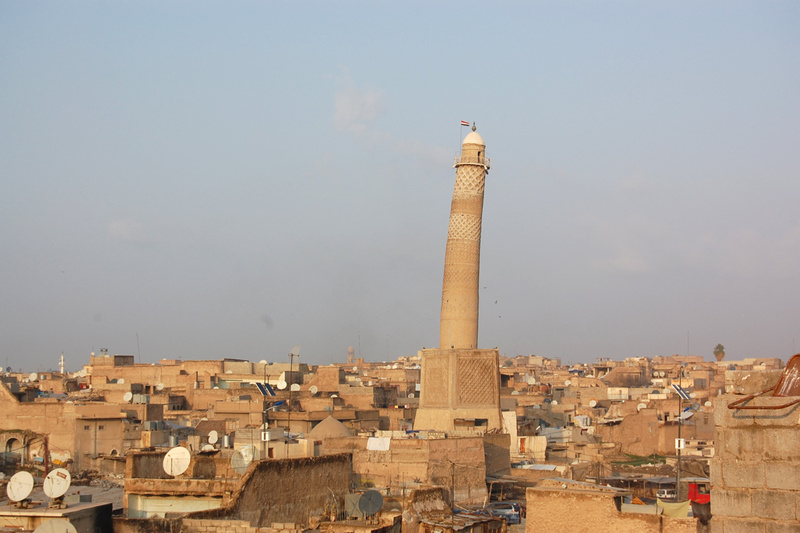 A group arrived from Mosul, in the north, under siege at the time by hostile forces that prevented the restoration of art works and even caused their destruction. 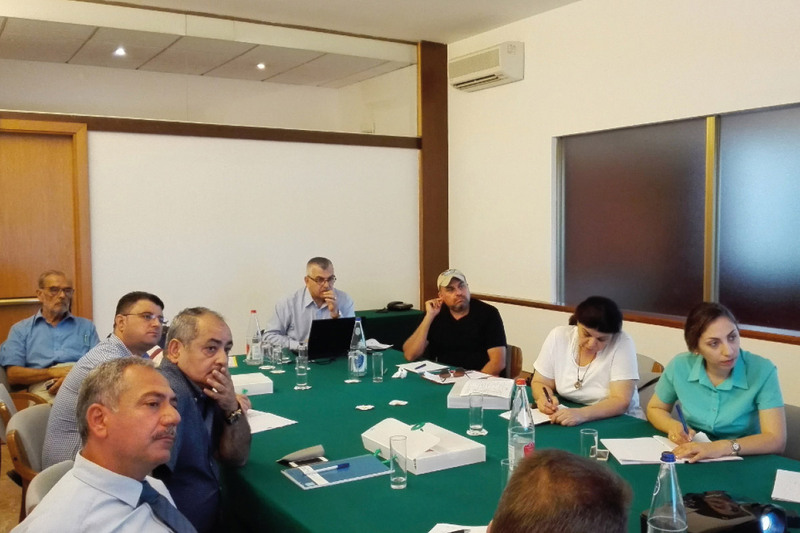 A second group of professionals, working on civil, historical and religious heritage, came from Baghdad,. 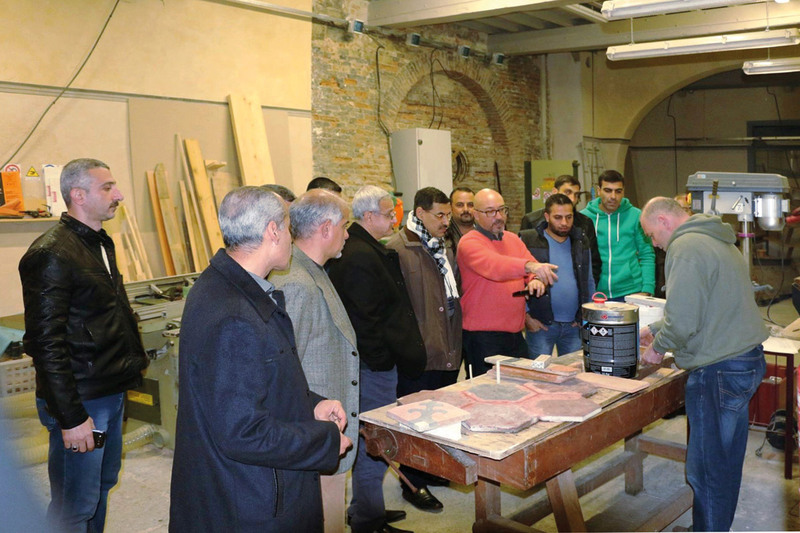 Intensive courses were held in Arezzo and Florence; face-to-face lessons dealt with theoretical aspects of the philosophy of restoration, legislation, security, geology, history, building materials and constructive techniques. 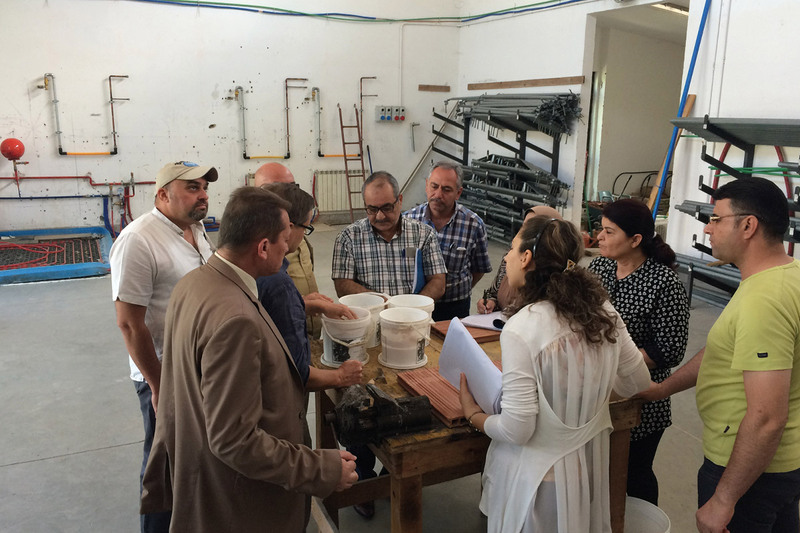 Degradation factors and restoration methodologies were also discussed. Practical lessons in the laboratory illustrated consolidation techniques of wooden structures and treatment of stone surfaces: Site visits allowed the students to observe directly interventions on gardens, facades, monuments and frescoes- Visits to museums and collections have raised their awareness of Italian heritage. 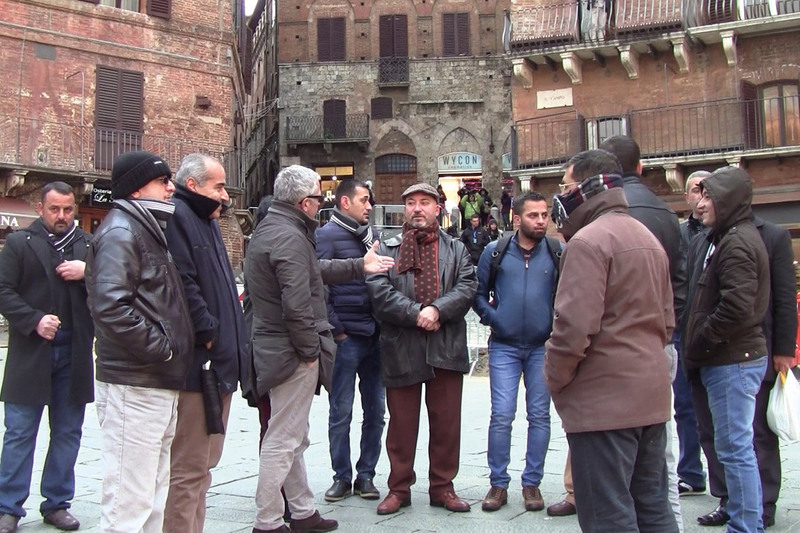 SEUM also met their requests to visit other Italian towns and cities: Siena, Pisa, Rome and Venice. 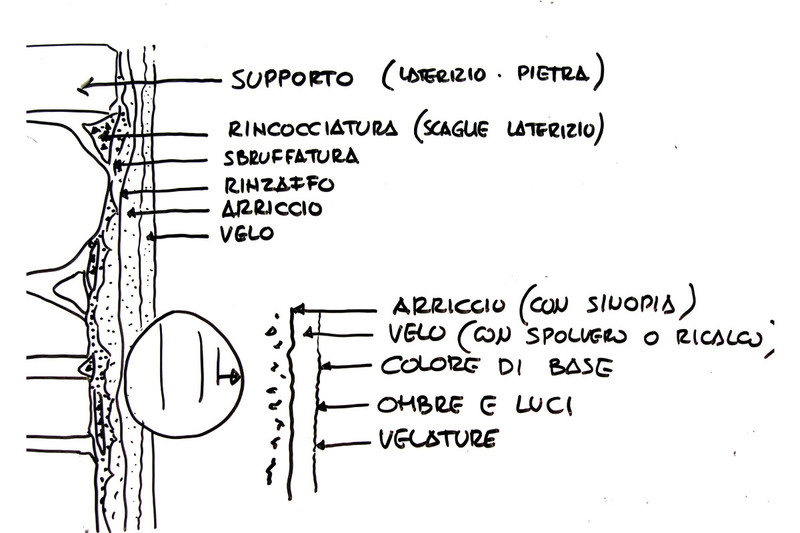 Lime obtained by baking limestone, mixed with river sand and crystalline powder of Carrara white marble, then applied on a wall forms a support that is painted using natural mineral pigments mixed with water only, while the plaster is still fresh (fresco). 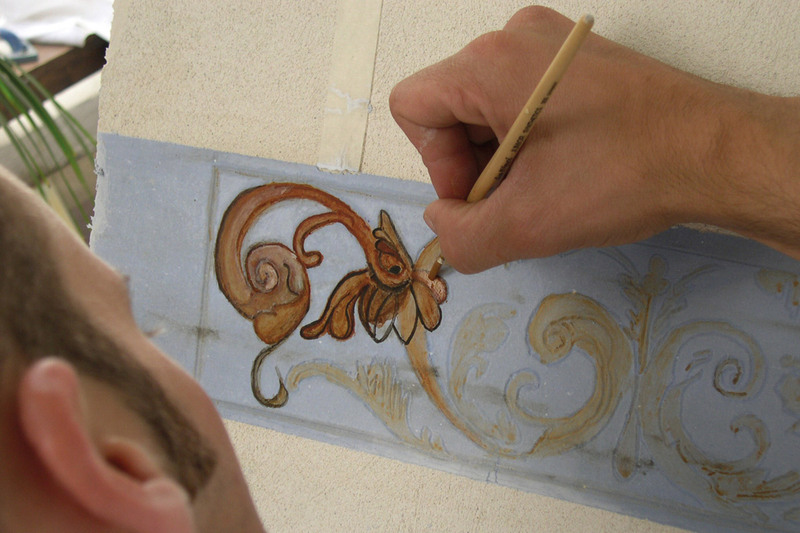 The carbonation process fixes the color in the plaster and confers to such a painting luminosity, transparency and colour fastness throughout the centuries. 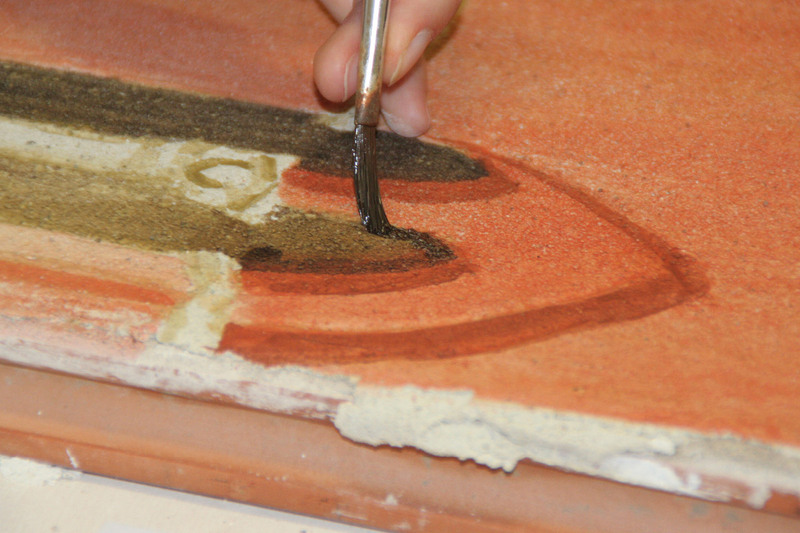 Fresco is rarely used nowadays and is likely to disappear from the skills of artists. 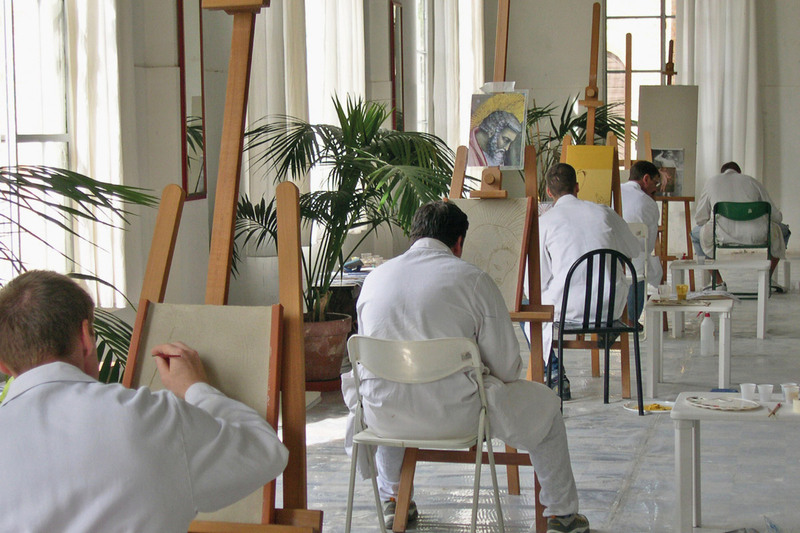 SEUM continues to organize courses in order to maintain and spread this technique that has produced universal art works by great artists such as Giotto, Piero della Francesca, Michelangelo, Signorelli, Pietro da Cortona and Tiepolo. Since 1994, long before SEUM’s foundation, experts who nowadays collaborate with SEUM have always been committed to transmit one of the oldest and most distinctive artistic techniques of our territory. 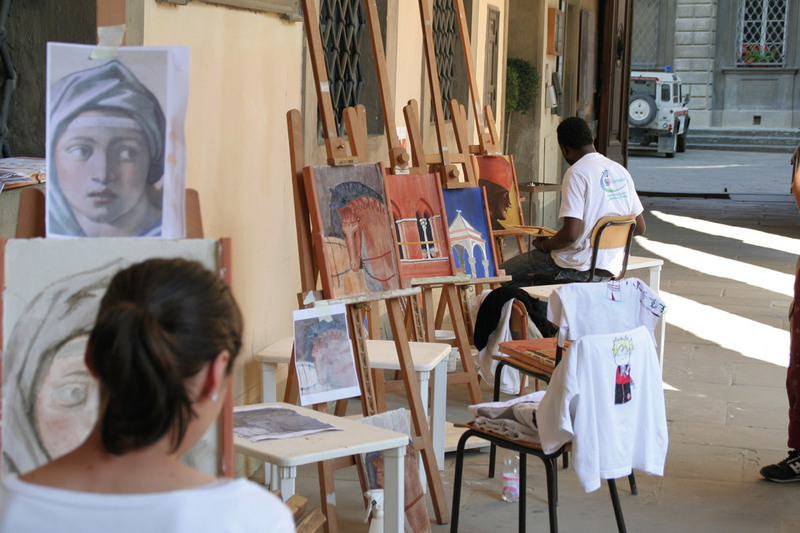 Hundreds of students, artists and craftsmen, pupils and children from Europe, the United States, Australia and Japan had the opportunity to learn the procedures and experiment with colours and compositions. 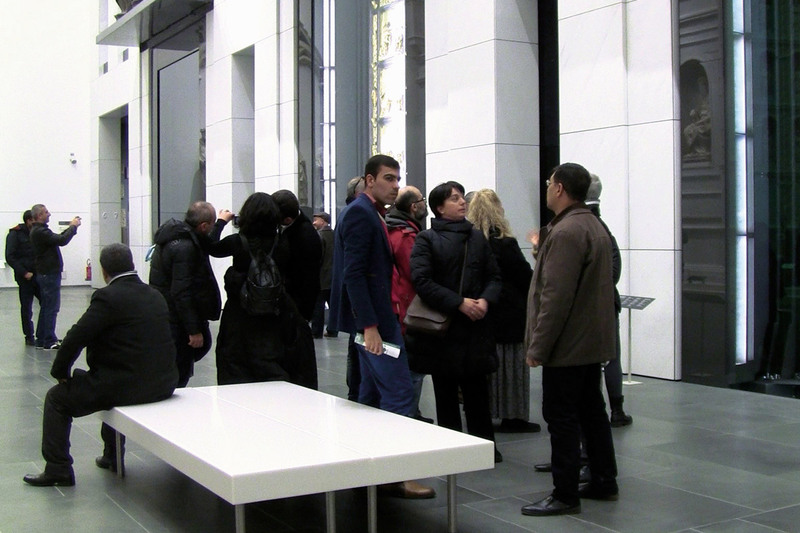 SEUM offers study modules ranging from a few hours to several weeks of an interactive course that puts together theory, history and practice; this allows one to achieve his own work in a measure that is relative to the type and nature of the course. 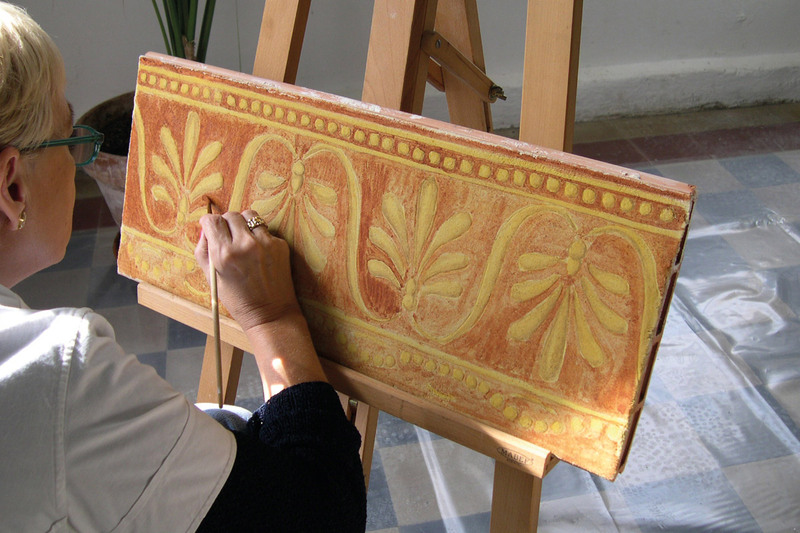 The courses also deal with other lime techniques: veils, marbles, colour-wash paintings and mostly the use of lime paste (Grassello) and traditional pigments such as ochre, Siena earth, synopia, green earth, shadow earth, overseas. 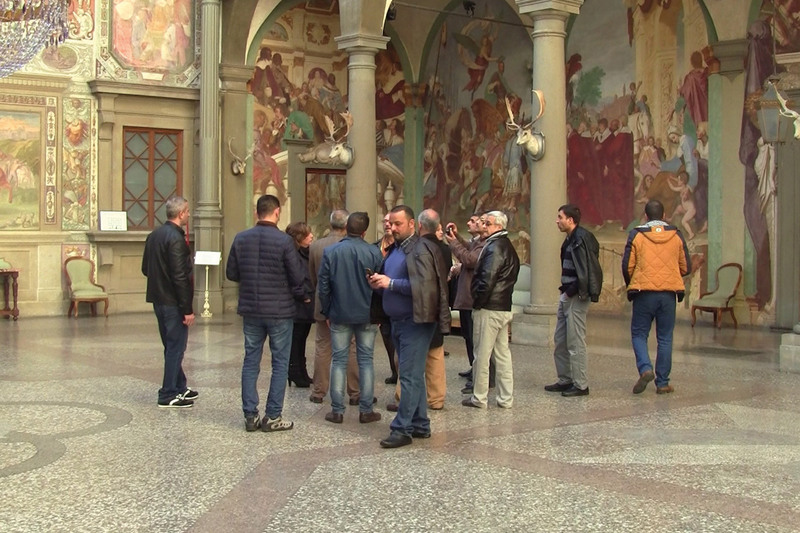 Participants are often accompanied on site visits to yards or places that host great pictorial cycles such as Assisi, Orvieto, Siena, Florence and Arezzo.